Deaf Havana’s last album ‘Fools And Worthless Liars’ was always going to be a tough act to follow, with it being one of my favourite releases in recent memory. For me ‘Old Souls’ isn’t better than its predecessor but it’s still a brilliant record, that sees the Norfolk band truly find their comfort zone, being 12 heartwarming and affecting alt-rock songs of great quality. The band have definitely found a sound that works for them after numerous personnel changes and shifts in sound, with ‘Old Souls’ finding a comfortable balance between pop and rock, making for radio friendly anthems that will still please their older fans. Opener ‘Boston Square’ is a good example, borrowing from bigger bands like The Gaslight Anthem, with a chorus Brian Fallon would raise a drink to. I thought it was the albums best song and it sets the tone well for the 45 minutes that follow. ‘Everybody’s Dancing’ is an upbeat and energetic song that bounces along, whilst ‘Saved’ is an acoustically driven number and the albums softest and most rousing song. Sixth track ’22’ is anthemic and the albums most traditional ‘rock’ song in a sense, being fast and heartfelt, with a catchy chorus to match. There’s a good mix in terms of tempo, and each song could potentially be a single, coming together to form an excellent album that oozes class and maturity. As with past releases the main draw here is frontman James Veck-Gilodi’s exceptional voice, and even better songwriting ability. His vocals and deep, meaningful lyrics are the records strongest aspect, and he shines throughout, especially on huge ballad-like closer ‘Caro Padre’, which addresses an absent father. The moments where he cruises with little instrumental backing are solid goosebump moments, and very few vocalists carry the appeal and impact he does. His writing style also mean there’s a harsh truth to ‘Old Souls’ that leaves it lyrically bleak, with Veck-Gilodi wailing ‘I’m only 22 but I’m going on dead’ on ‘Speeding Cars’. Pairing these melancholy lyrics with uplifting and soaring instrumentals makes for an entertaining listen, hinged between the depressing and dynamic. More importantly, it also means that ‘Old Souls’ has heart; there’s passion and emotion in the songs here that has the ability to inspire and I couldn’t help but be absorbed by the content, especially on the more lyric-centric songs like ‘Night Drives’. There’s a clear talent for songwriting here, and the music Deaf Havana play on ‘Old Souls’ is mostly nostalgic, recounting past experiences and characters. ‘Kings Road Ghosts’ leads the listener by the hand through their hometown, and the memories stirred up by the journey. It’s ‘Hunstanton Pier Pt.2’, and also its a reflection of the band at their best, when they’re given the opportunity to directly guide their audience. However, despite its numerous strengths I still found ‘Old Souls’ to be lacking something. Yes, it is a progression musically from ‘Fools And Worthless Liars’ but in doing so it loses some of its fire. Theres less of that boyhood charm and charisma, which doesn’t come as a massive surprise considering the albums direction and title. Also, the huge choruses from the last release are missing on ‘Old Souls’ bar a few songs and it sometimes falls flat. 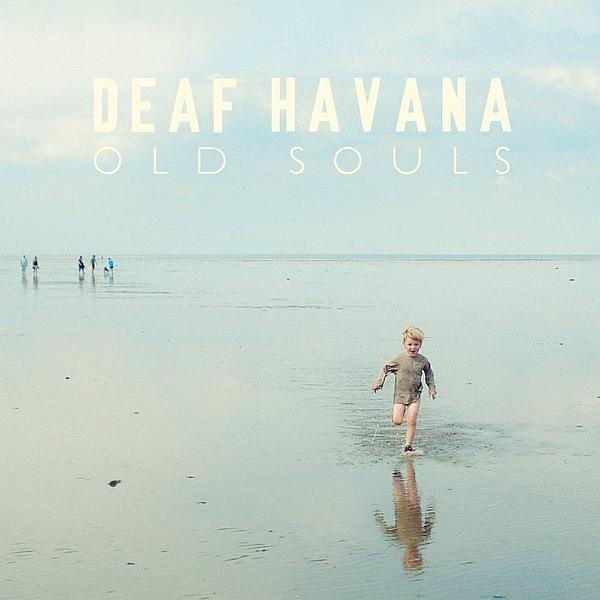 It’s a shame, because a solid mix of old and new Deaf Havana would have made for a truly astounding album, but ‘Old Souls’ just isn’t quite there. Ultimately, ‘Old Souls’ is an accomplished work of art that substitutes some of its energy for a more mature, refined and developed sound, only slightly losing out as a result. It’s a more confident album that finally sees the band settle. From a fan perspective it seems more like the start of a new path than the end of a previous one, and the band can only get better now they’ve found a sound they suit and perform brilliantly with.